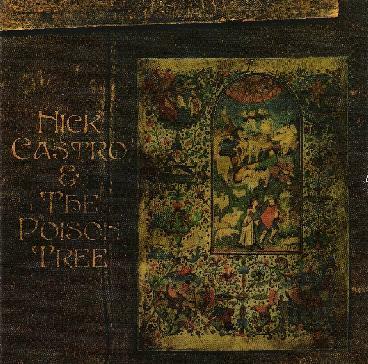 Nick Castro - "Further From Grace"
I previously reviewed Nicks fantastic Spy in the House of God CD. This is the follow up and features the Poison Tree as a backing band on many of the tracks. Nick still handles all the guitars, piano, organ and all the lead vocals. This is a fantastic 60's inspired psychedelic folk record, with some very cool experimental instrumental passages. The opening track, "Sun Song" is a very beautiful piece of music and a great opener. "Waltz For A Little Bird" reminds me a bit of LOVE. "Music For Mijwiz" is such a cool track and very different from the rest of the CD as it is some sort of experimental Middle Eastern inspired jam. "Deep Deep Sea" is a beautiful 8½ minute track laden with a lot of emotion by all the players. The CD closes with "Walk Like A Whisper", a very happy song that leaves you in a good mood! For more information you can visit the Nick Castro web site at: http://www.spyinthehouse.com. Visit the Strange Attractors Audio House web site at: http://www.strange-attractors.com.